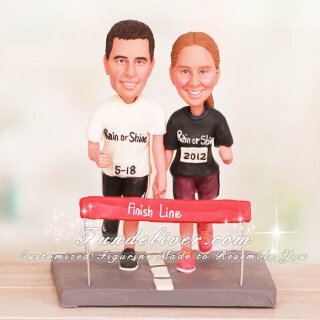 This is a completely customized “We Cross The Line” running wedding cake topper ordered by one of our customers. They would like the groom to be in black Nike shorts with white stripe on side, white Nike short sleeved shirt with 5-18 on groom's bib and "Rain or Shine" on the front and "We cross the line" on the back. 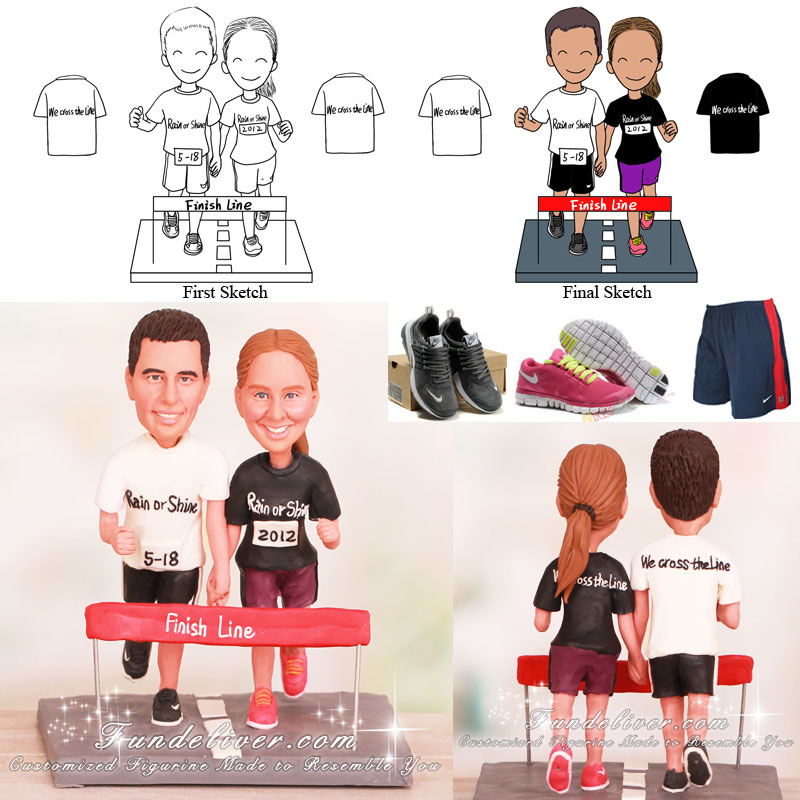 For the bride, they would like her to be in purple Nike shorts with black stripe on side and black Nike short sleeved shirt with 2012 on bride's bib and "Rain or Shine" on the front and "We cross the line" on the back. They are both wearing Nike running shoes, grey one for the groom and hot pink for the bride. For the pose, they would like their figurines to be holding hands with other arm on both like they are running in stride. Platform is like a street with dotted white stripe down the middle and a finish line ribbon in red with white writing "Finish Line."